The fairy in green, Fauna is sweet and gentle, only using her magic for good. She likes the color green. Fauna, Flora, and Merryweather gave Sora his new and magical clothes for to prepare him for his new quest. The first ability he gains access to is his Valor form and he receives the Star Seeker Keyblade along with it. However, he will have to discover the other abilities on his own. 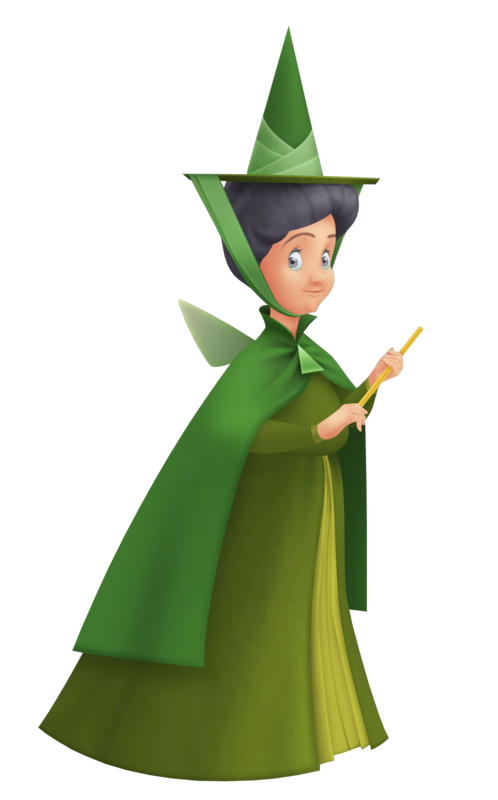 The fairy dressed in green, Fauna is the calm voice of reason but has a tendency to see the good in everyone, including Maleficent. She acknowledges that their magic is far inferior to that of Maleficent's: Good magic can only help or heal people, thus rendering them almost useless in direct combat. Fauna, together with Flora and Merryweather, keep watch over Aurora even when she falls into her enchanted slumber. Upon approaching a visiting Ven and sensing the strong light within his heart, she is certain that Ven will be able to help them save Aurora, hinting at Ven's own true nature as a being of pure light. Bashful and gullible with a gentle touch, Fauna's affectionate personality matches fits perfectly with her deep forest green attire. 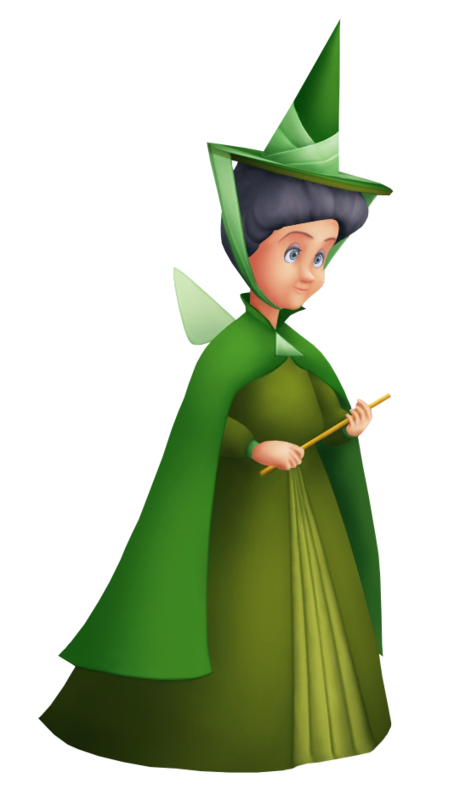 Along with Flora and Merryweather, they makes up the trio of Good Fairies, willing to lend the defenders of light a helping hand. The recipient this time is Lea, who she, Merlin, Flora and Merryweather have been tasked to train in Keyblade wielding.